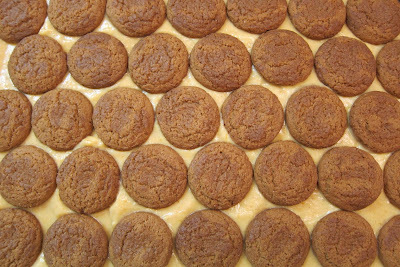 Pumpkin-Gingersnap Tiramisu is assembled and ready to go. 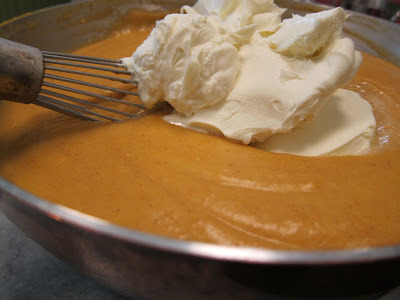 That's mascarpone cheese, getting whisked into a thickened pumpkin mixture. Certainly not a recipe we'd make everyday, but a festive and decadent addition to our Thanksgiving meal.